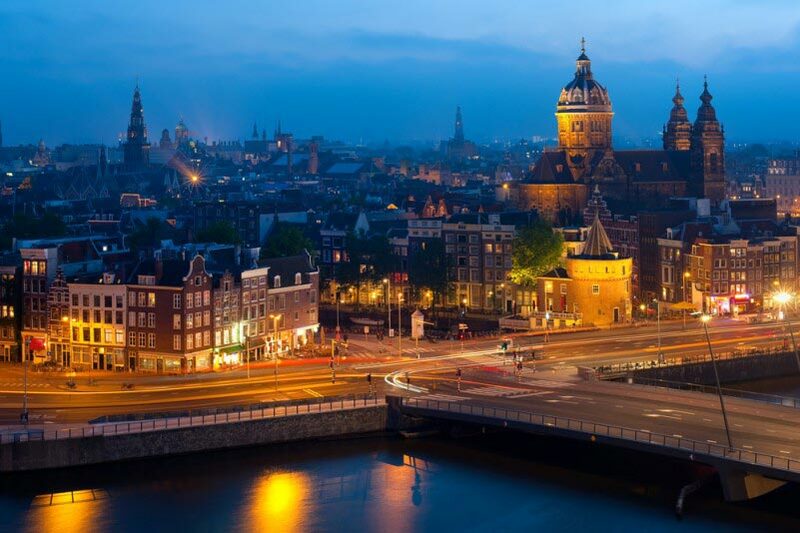 Night view of Amsterdam, Netherlands. Netherlands is bordered by North Sea, Germany, and Belgium. This north western country of the Netherlands, often called as Holland, is renowned for its cheese, tulips, windmills, and wooden shoes. This densely populated country has its capital Amsterdam, which has its popularity as one of the most refined cities of Europe. Visiting this beautiful city will take you back to its royal past. Covering an area of 41,526 sq km, this country is a bliss if you explore it by cycling. This daringly liberal country is progressive in all aspects and more relaxing than other major cities of Europe. Rotterdam is a pleasant city, which is also a modernized city of Netherlands. Netherlands is a destination of some mind blowing attractions. Celebrating festivals like Pink pop Festival, Heineken Dance Parade, etc., every year, it is an ideal place to spend for fun. Accompanied by its artistic beauty, this Dutch speaking country is also rich in magnificent viewpoints found all over the place. The people of the Netherlands are very informal and so it is least expected to offend them. Although expensive, a large number of traditional and modern hotels will assure you of a fun-filled time. Traveling within the country and visiting museums and other local attractions, is less expensive. One thing you have to be sure of is to carry a good amount of winter clothes. Netherlands is a beautiful country in Western Europe, which faces North Sea and the United Kingdom and shares border with Germany and Belgium. Due to its increasing popularity among the international travelers there are presently many ways to travel to the Netherlands. The Schiphol Airport, near Amsterdam, is the biggest international airport in Netherlands. British Airways, Aer Lingus, Aeroflot, Air Alps, Air Berlin, Air Malta, Bulgaria Air, Austrian Airlines, Alitalia, Croatia Airlines, Cyprus Airways, Egyptair, El Al Israel, Condor, Finnair, KLM Dutch, Malaysia Airlines, Malev, Lufthansa, Polish Airlines, Ryanair, Ukraine Airlines, and Swiss Airlines are the premier international airlines that serve millions of passengers every year who visit the Netherlands. KLM was the national airlines of the Netherlands before it got merged with Air France and it provides domestic as well as worldwide scheduled passenger and cargo services to over 90 destinations. So while visiting the Netherlands, the visitors can also opt for any of the flights of KLM and arrive directly in the Netherlands. Other important airports include, Rotterdam Airport, Aachen Airport, etc. Excellent railway connections are available in the cities of Hague, Amsterdam, and other large cities of Netherlands. Train facilities can also be availed by the countries like, France, Belgium by The Thalys. Germany has some high-speed train called ICE, which connects it with the Netherlands. The visitors can also get cheaper and more convenient railway trips from Brussels or Antwerp. Intercity trains run from Berlin and Hannover to Amsterdam via Osnabrück, Hengelo, Deventer, and Amersfoort. Another less frequently opted option for reaching Netherlands is by availing international buses, which are predominantly operated by Eurolines. Boats are also available from various parts of U.K which reaches them to Amsterdam. There are three ferry services from the UK: Stena Line between Harwich and Hoek van Holland; DFDS Seaways between Newcastle upon Tyne and IJmuiden; P&; O Ferries between Kingston upon Hull and Rotterdam Europoort. The fastest and most convenient mode of travel in the Netherlands is undoubtedly the trains and since the Netherlands is a densely populated and urbanized country, therefore the train services are genuinely regular and frequent unlike many other countries. The railway network in the Netherlands is so vast that it can accommodate 12 trains per hour on main routes. There are primarily two types of trains: 24 intercity lines and ‘Sprinter’, trains which halt at all the stations. Usually a single train is available in an interval of 30 minutes in the Netherlands. The Nederlandse Spoorwegen is primarily responsible for operating most of the routes; however, some lines in the north and east are operated by Syntus and Arriva. The tourists who are planning to get around by train in the Netherlands can easily opt for the Eurail pass with the Benelux package as it allows unlimited railway travel within Belgium, the Netherlands, and Luxembourg over multiple days. The Europeans are not eligible for Eurail passes, but that should not pose any problem as they always have the option of opting for Inter Rail Passes for their discount train travel. Travel via buses, which are comparatively cheaper as compared to other transport. Within the country, it has an extensive connection of Railways with an interval of 5 min to the main routes. If you have decided to travel by bus, then you can get hold of “buzzer” tickets which will cost you 10 Euros per day and it remains valid after 9:00 a.m. on every single Connexxion bus for two adults and up to three children. For those travelers who are interested in enjoying bicycle tours can opt for bicycle tours, as this not only provides immense satisfaction to the travelers, but also provides them full independence, which may not be possible in other modes of transportation. One of the most popular choices of entertainment in the Netherlands is to opt for the bars, pubs, and nightclubs. If someone really wants to get the true flavor of the electrifying nightlife in Netherlands, then undoubtedly the best place is Amsterdam. 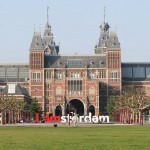 Amsterdam offers a sizzling array of international standard of entertainment for centuries and is considered as one of the premier centers of culture in Europe. The city is also noted for accommodating innumerable venues of stage performances in the hundreds of venues that remains dispersed throughout the city. Whatever may be your budget and preference, the nightlife in the Netherlands and more specifically Amsterdam offers something for everyone. Amsterdam’s famous Red Light District, Leidseplein, and Rembrandtplein areas bustle all through the night with multitudes of crowd and these places are the hubs of nightclubs, restaurants and cafes, theaters, cinemas, and casinos. Amsterdam has more than 50 cinema venues and in these places films are shown in their original language with Dutch subtitles and each and all through the year, every day of the week. The tourists also come across superb theater performances in the English language. The city boasts of a rich tradition in classical music and opera and the visitors can also watch ballet dances, as there are two world-class ballet companies in the Netherlands. Take part in various outdoor sports and cycling is the most accepted sport, as the Netherlands is popularly referred to as the ‘the land of bicycles’. With its 17,000 km of special cycling lanes and paths, the country provides superb cycling facilities. If the travelers want to get hold of bicycles while touring in the Netherlands, then they can simply hire it from anywhere, as bicycle hiring facilities are available in every part of the country. A list of local bicycle hire companies is available from The Netherlands Board of Tourism. The classic Dutch upright single-speed hub-brake bicycle is the most frequently used bicycles in the Netherlands, but other popular types of bicycles include mountain bikes, children’s bicycles, and tandems. The visitors also enjoy various water sports at the Dutch coast on the western shores of the Netherlands and here you can take part in all types of popular water sports like swimming and windsurfing. Sailing is highly popular on Friesland Lakes, the Ijsselmeer, Loosdrechtse Plassen; Catamaran sailing and parachuting is possible on the islands of Ameland and Texel, but water-skiing is not allowed on inland lakes. Walking trips are also very popular in the Netherlands, as the country is teemed with fantastic walking routes amidst the splendor of nature. Netherlands is renowned all over the world for its famous flower markets and Amsterdam, Delft, and Utrecht are the ideal places to buy flowers in the Netherlands. The Floriade, is one of the world’s most famous flower exhibitions in the Netherlands and it is held once in every ten years. It was last held in 2002 in the city of Haarlemmermeer. The traditional cheese market of the Netherlands takes place in Alkmaar on every Friday from mid-April to mid-September. The Nine Streets located between the famous Princes Gracht and the Singel is the most famous shopping district in Amsterdam as well as in Netherlands and is the hub of designer boutiques, art galleries, jewelers, fashion shops, and cafés.